One of our favorite holiday flavors is peppermint mocha whether in beverage form, or this spoon-able variety. We like to serve small portions in tiny appetizer bowls or cordial glasses. 1. Heat the milk in a small saucepan or microwave until quite hot, nearly boiling. Add 1 tablespoon of espresso granules, (or 1 shot of espresso or very strong coffee). 2. In a 3 quart saucepan, place the egg yolks, sugar, cornstarch, and salt. Whisk to combine. 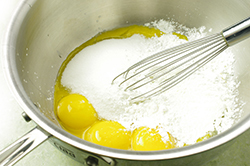 Temper the eggs by adding a 1/2-cup of the hot milk to the egg yolk mixture whisking vigorously. Continue adding the hot milk in 1/2-cup increments, continuously whisking. 3. Over medium heat, place the saucepan. 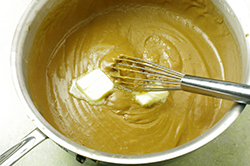 Cook the mixture, continuously whisking. 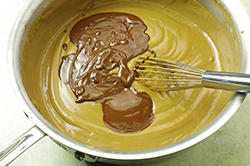 The mixture will begin to thicken, then reach the boiling point. Remove from heat. Add the vanilla and peppermint extracts. 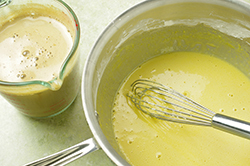 Add the butter, one tablespoon at a time, whisking until melted after each addition. 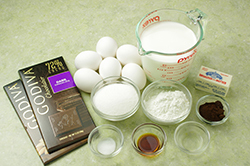 Add the melted chocolate in small increments also whisking continuously with each addition. 4. 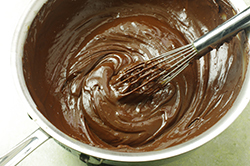 Transfer the mixture to a large glass bowl and allow it to cool, stirring periodically. Once completely cooled, place the chocolate custard in a large disposable zipper bag, and store in the refrigerator until ready to serve. 5. To serve, cut off one corner of the plastic bag and pipe the custard into cordial glasses or small bowls. 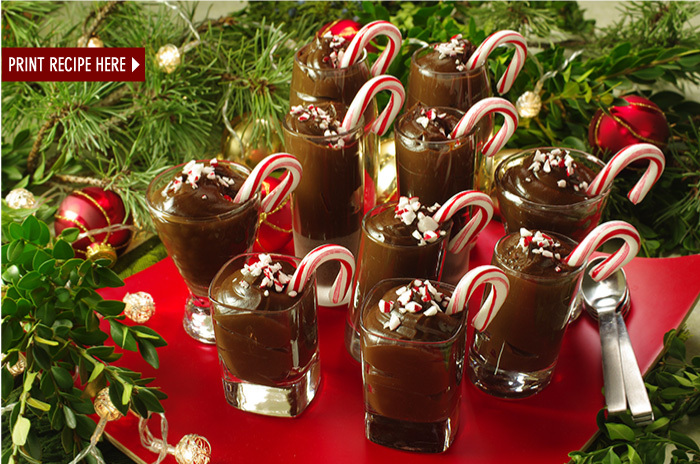 Garnish with tiny candy canes, or crushed peppermint and serve with small appetizer spoons.